The Norwegian Refugee Council on Wednesday has brought to light, the need for concern regarding the large numbers of civilians displaced by intensified conflict across the Afghan countryside within the fir few weeks of 2019. 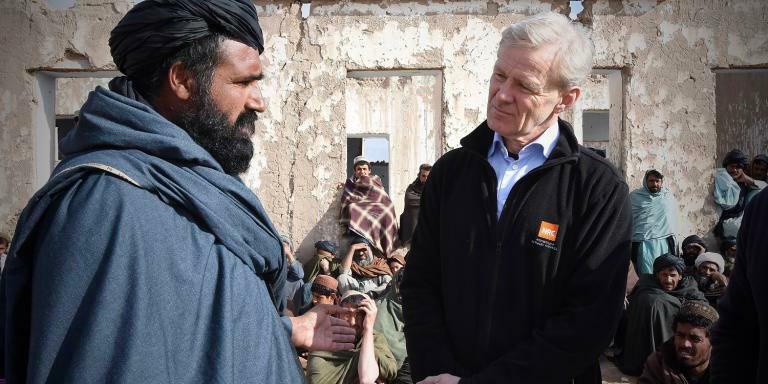 “Whilst international attention is focused on very welcome peace talks, I have in recent days met countless Afghan women, men and children who have fled air raids, cross-fire and military offensives in Central and Southern Afghanistan,” said Jan Egeland, Secretary General of the Norwegian Refugee Council who is currently visiting Afghanistan. Separate studies undertaken by NRC indicate that while almost half of the displaced people surveyed received assistance in 2012, five years later their survey showed that only a quarter received external support. “All the civilians I met in conflict stricken Uruzgan and Kandahar expressed a deep yearning for peace after generations of senseless and bloody war. The Afghans in the countryside, many living in poverty, have seen frontlines shift for decades and yearn for security, a possibility to return to their lands and to restart livelihoods. At the same time, they beg that the progress brought by foreign assistance must be secured and that all of the unfulfilled promises of education, health and development must not be forgotten as foreign forces prepare to leave,” said Egeland. NRC has thus appealed to the parties of the conflict to guarantee humanitarian access across frontlines and to allow aid groups to stay and deliver in hard-to-reach areas where many Afghans in greatest need now suffer alone. NRC has expressed that attacks on hospitals, schools and aid workers have ‘paralysed’ humanitarian work in too many areas. Approximately 6.3 million Afghans are in need of humanitarian assistance, out of who, 60 per cent are children. 1.5 million people are internally displaced across the country and 2.6 million people are close to famine. Even UN Resident Coordinator Toby Lanzer this week highlighted the brutal effect of drought and conflict across Afghanistan.